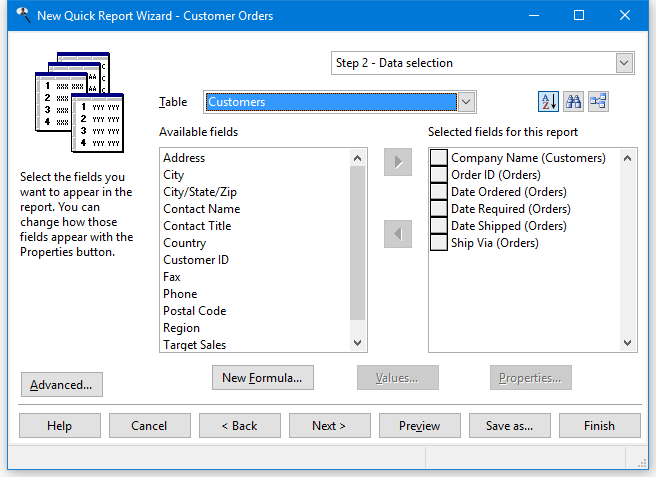 Stonefield Query provides a step-by-step method to create professional reports. Anyone can create detailed reports, high level overview, drill-down/drill-through, charts/graphs, pivot tables, and more in minutes, not hours or days. 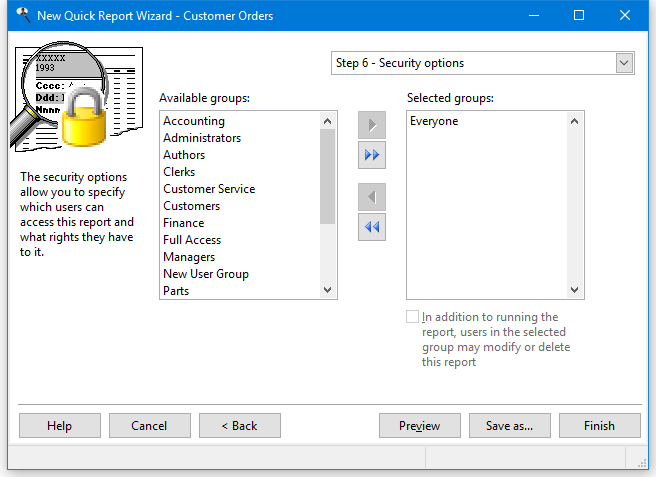 Step 1 is for main report information: the report name, folder, and comments. Step 2 is the big one: select which fields appear in the report. Note the descriptive names for tables and fields; no need to know the real database table and field names. Pick fields from any tables you wish; Stonefield Query takes care of the joins between the tables for you so you don't even have to know what a join is. 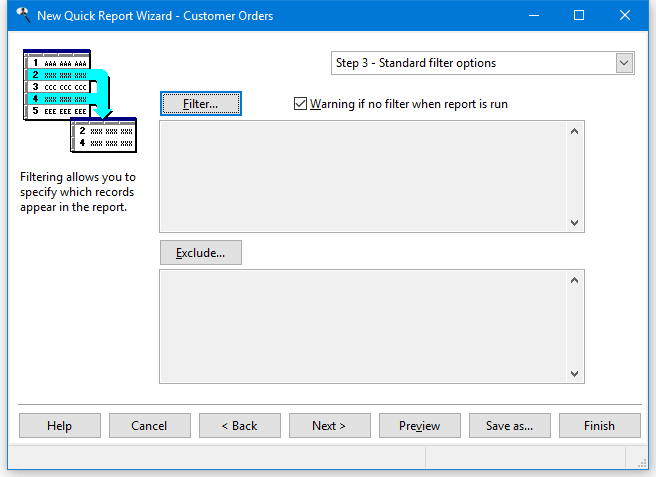 Step 3 allows you to filter the report as you need. Only show records for a certain date range, a specific customer, or a group of products. 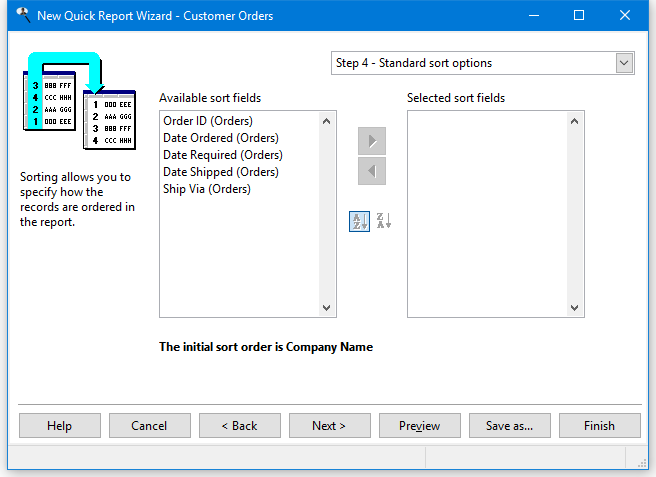 Step 4 allows you to sort the report the way you want: chronologically by date, alphabetically by customer, etc. 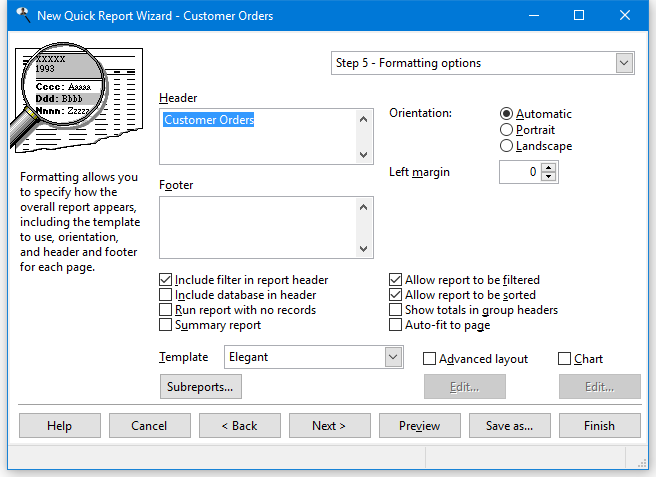 Step 5 is for report formatting: orientation, template, header and footer, etc. Step 6 is security: you specify who can access your report and what they can do with it. That's it! 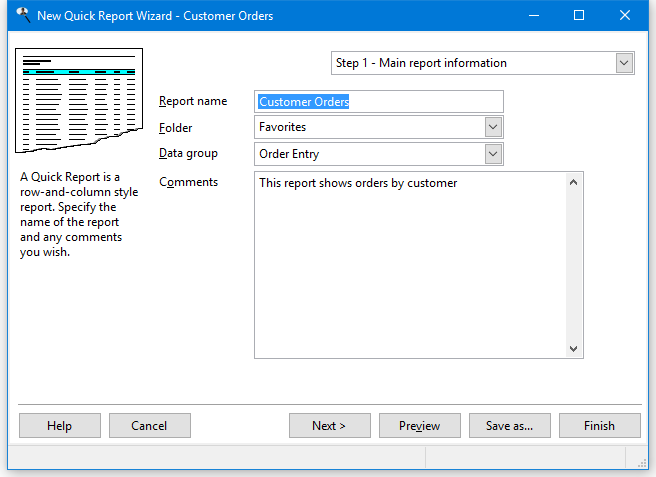 Just six easy steps to create a report. © Stonefield Software Inc. All rights reserved.